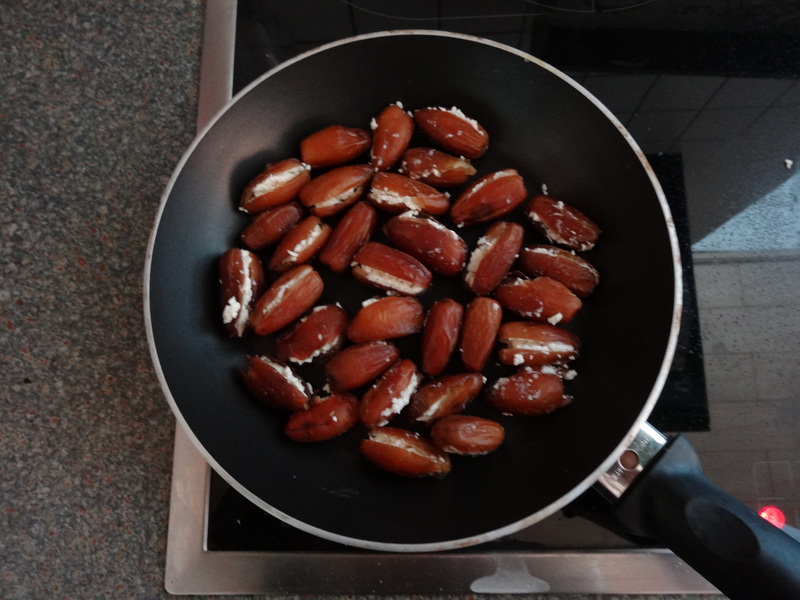 Shortie but Goodie: Feta-Stuffed Dates – Yours Julie – Mostly travel, also food. This is the easiest one yet: Two ingredients. Unless you have a severe dislike for one of those, you will love this. 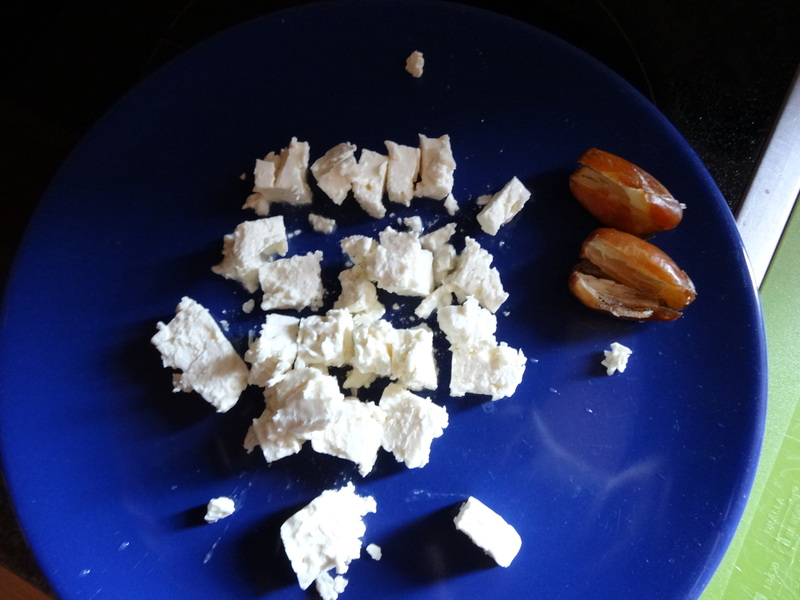 Cut the feta cheese into smallish cubes, or crumble it up, so it fits into the dates. 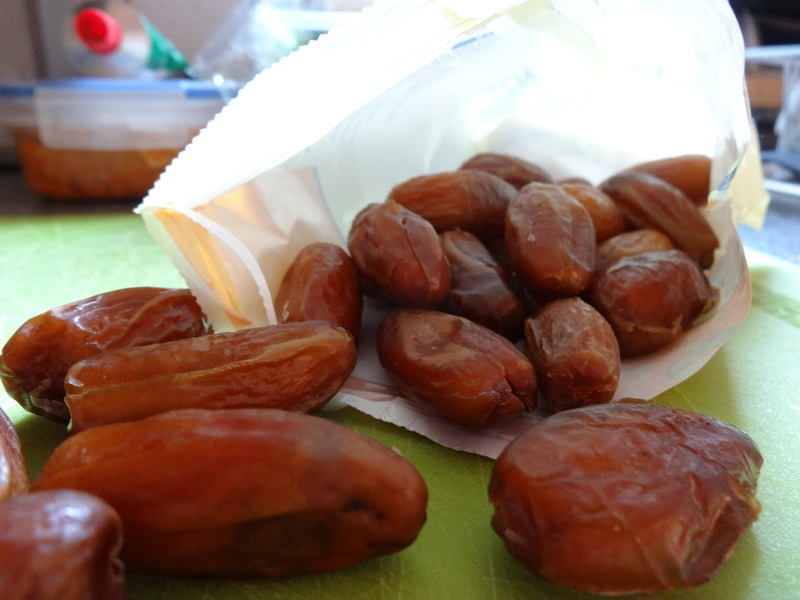 If your dates are not pitted, pit them, but do not cut them all the way through. 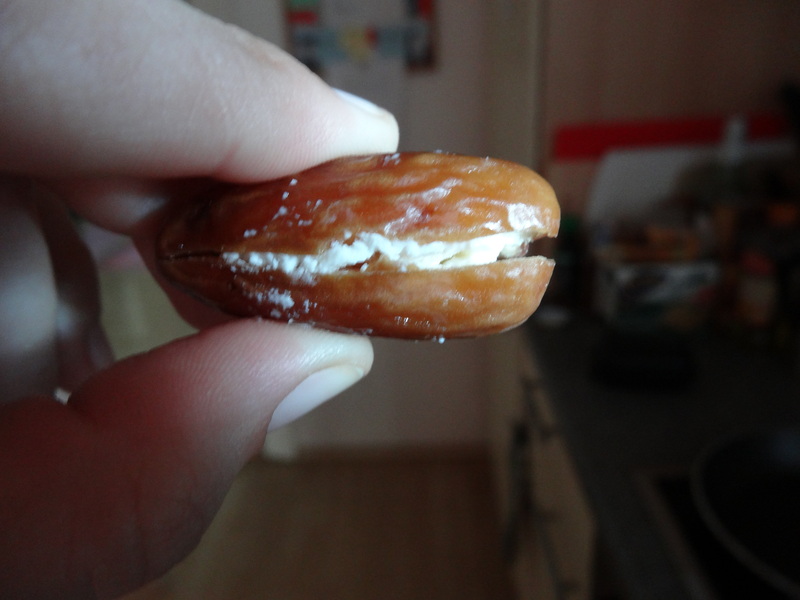 Stuff the dates with pieces of feta and close them by pinching the sides together. Do so until you run out of dates or feta, or until you feel you have enough. You do You. 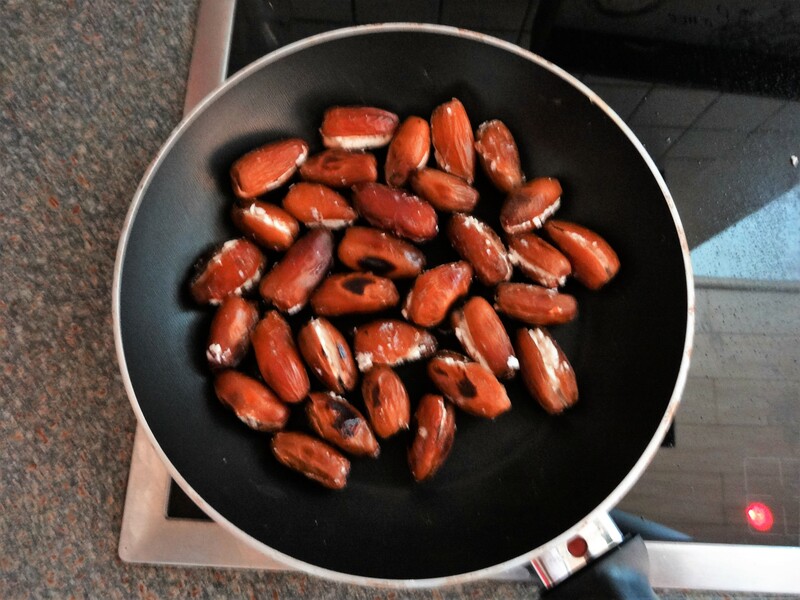 Heat a dry non-stick pan and pan fry the stuffed dates. Turn them over a few times until they are a bit browned on the outside and the feta is warm and slightly gooey. This is the perfect combination of sweet and savory, with a texture that will make your heart melt. The yummy stuff goes well with salads, but is also confident all by itself as a decadent appetizer or snack.